Forgot to enter the promotion code? If you already paid your order, you must cancel your order and start again so that you can take advantage of the discount. The instructions to cancel an order can be found in the confirmation mail (invoice) that is sent automatically after the purchase. For orders under $50, the delivery costs depend on the order value and destination. Shipping rates can be found here. Instructions – how to use promotion codes? For orders under $50, the delivery costs depend on the order value and destination. A detailed pricing list can be found here. Is there a risk of customs/duty fees? Usually – No. However, international customers should be aware that we ship from the USA and even if most of the times there is no duty fees to pay upon delivery, there’s always an unpredictable risk that the package will be randomly picked by the border’s customs agency who may occasionally ask you to pay fees. In some countries, an import tax may be required to pay when a package goes through the borders customs agency. Unfortunately, the process is random and unpredictable as it really depends on your country’s customs – there is no way to completely avoid the risk, so that’s why there are warnings on the website. All international orders are subject to the possibility of customs duties, no matter where you bought it from. Be assured that our shop doesn’t charge any hidden fee. If asked to pay fees upon delivery, the recipient has the option to refuse delivery, so the postal service will return the package to the sender to cancel your order, without having to pay the fees. We can refund you the cost of the product(s) once the order is returned back to our facility. 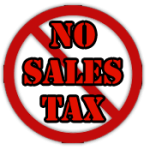 You don’t have to pay any sales tax when purchasing on this website. Customs duties must be distinguished from national taxes/sales taxes, such as VAT. The taxes or additional fees requested are from your government and we have no influence over the amount. Some postal services could add brokerage fees for customs clearance service. Since these fees are not charged by us, we are unable to reimburse you for them. Customs duties on foreign products are one of the main instruments of capitalism protectionism. By taxing consumers who import international products, the government tries to recover a portion of the sales taxes that escapes it. For more information about customs fees, we encourage you to speak with your local authorities or your postal service. 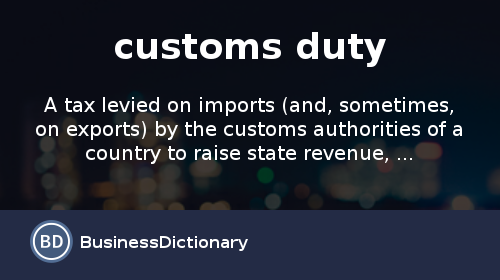 Customs duty is a tax levied on goods imported when they cross the border. These duties may be flat or represent a percentage of the price (“ad valorem” duties). By making foreign products more expensive, this practice seeks to discourage consumption and favor local industries. That is why customs duties are one of the main instruments of capitalism protectionism. Customs duties are normally paid only on importation. They are the same regardless of the point of entry into the country. (…) Customs duties must be distinguished from national taxes/sales taxes, such as VAT. READ MORE: Are there customs/duty fees or taxes? Our t-shirts are standard US sizes. You can find the exact measurements of each size by clicking the “size chart” link when viewing a product. Please choose your size carefully as each product is printed on demand according to the customer’s parameters (size, colors, etc). Our standard t-shirts are 100% preshrunk cotton. We use high-quality & ethically-sourced cotton made in the United States. We also offer 100% organic cotton t-shirts certified fair trade and without GMO. Read more about our organic cotton. Our clothes are professionally printed using the industry’s leading print technologies, providing a significantly higher than average quality as well as increased durability without any degradation of the print. Our state-of-the-art printing methods are what’s best in the t-shirt industry today and even if the production cost is higher than average for us, there is no difference for you since we reduced our “margin of profit” in order to offer a price equal or cheaper than elsewhere. 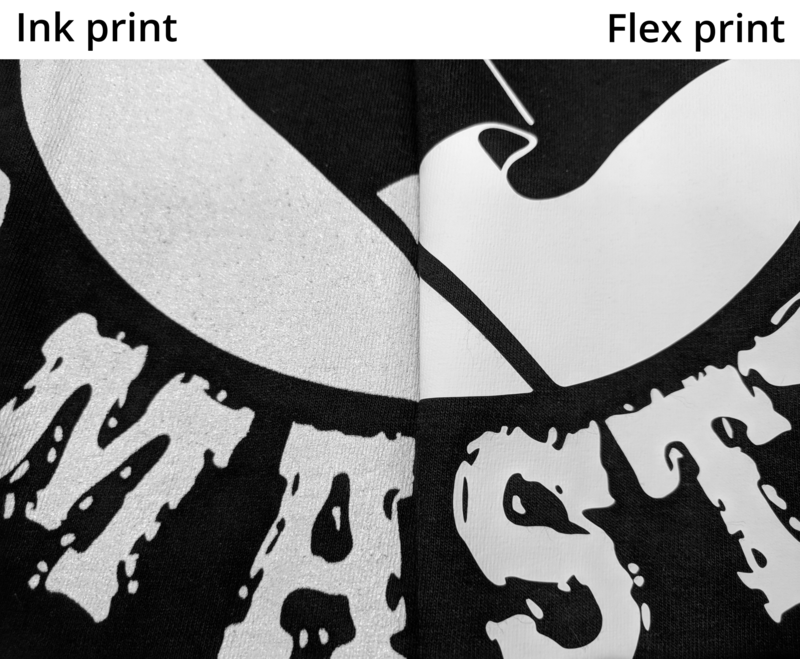 Flexography provides the absolute best printing quality available to date in the clothing industry. This method results in clothing which is even more durable than traditional screen-printing used by most screen-printing shops. Using flexography, the design is cut in a vinyl material and then thermally bond on the apparel, making it literally indestructible through the years. We guarantee a very long lifespan with no cracking or discoloration even after several hundred of washes. T-shirts printed in flexography are marked with a “vinyl print” label on the website. We use this printing technique for designs with more than 1 color or high complexity level. It is also the most environmentally friendly solution as we use only water-based inks that contain no chemicals. The ink penetrates the fabric without leaving any relief, thus producing more comfortable clothes to wear. The downside is that ink print is a little bit less wash-resistant when compared to flexography. Where are the t-shirts printed and produced? What is print on demand and why are we using this technology? READ MORE: What is print on demand and why are we using this technology? You can customize any article on our website by clicking the “customization” button on the corresponding article’s page. However, the color of the print can only be changed for vector images with flex printing. It is also possible to create your own articles, choosing between a selection of over 300 different products. Learn more about the instructions here. Please note that we can’t customize a product for you and we do not have the resources available to assist you with specific customization tasks. You will probably need some knowledge of Photoshop to make your own designs or have a friend to help you. We offer Econscious t-shirts made exclusively of organic cotton, bringing you eco-friendly products manufactured with the highest possible environmental and vegan standards, in combination with our 100% organic and vegan print inks. Our organic cotton is also GMO free and certified by USDA and GOTS. 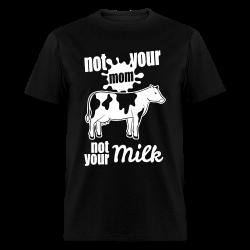 Moreover, the t-shirts are certified vegan by People for the Ethical Treatment of Animals (PETA). Organic cotton uses 71% less water and 62% less energy – The cotton grown organically is 80% rain-fed, which reduces pressure on local water sources. The absence of chemicals also means that water is cleaner and safer. A percentage of the sales is donated to environmental organizations – Our manufacturer donates a part of the sales to environmental non-profits that are working to restore, protect, and advocate for our home, planet earth. 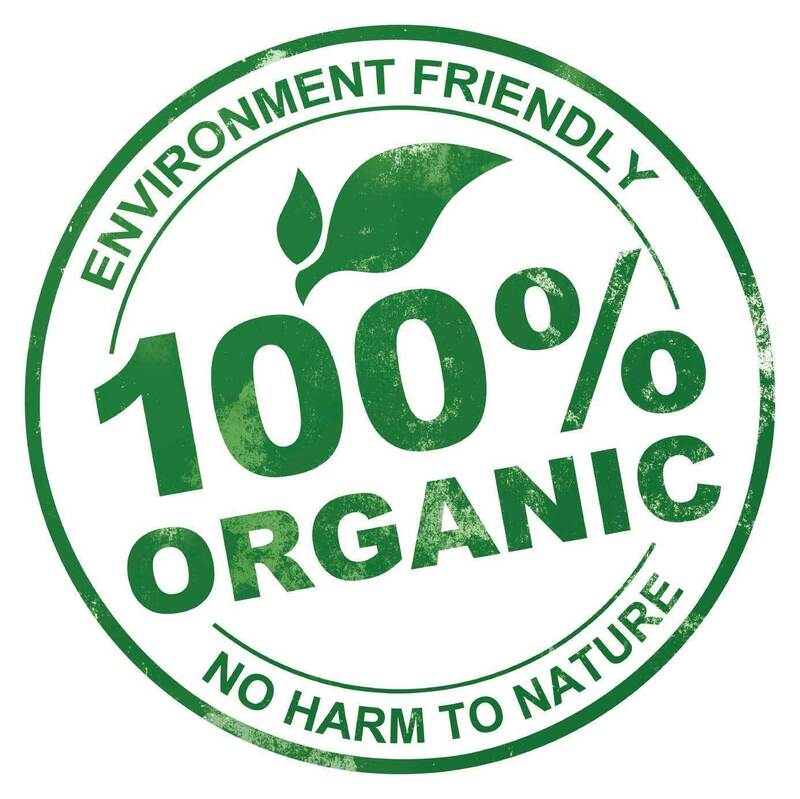 Contain absolutely no Genetically Modified Organisms (GMO) – Buying organic products ensures that zero of the proceeds of the t-shirt you are buying go to Monsanto. Reduce global warming – Organic farms pull CO2 out of the atmosphere as much as three times the rate of conventional farming practices and releases less CO2 into the atmosphere because it does not rely on chemical fertilizers and herbicides. Reversing climate change is achievable by farming organically, according to studies. 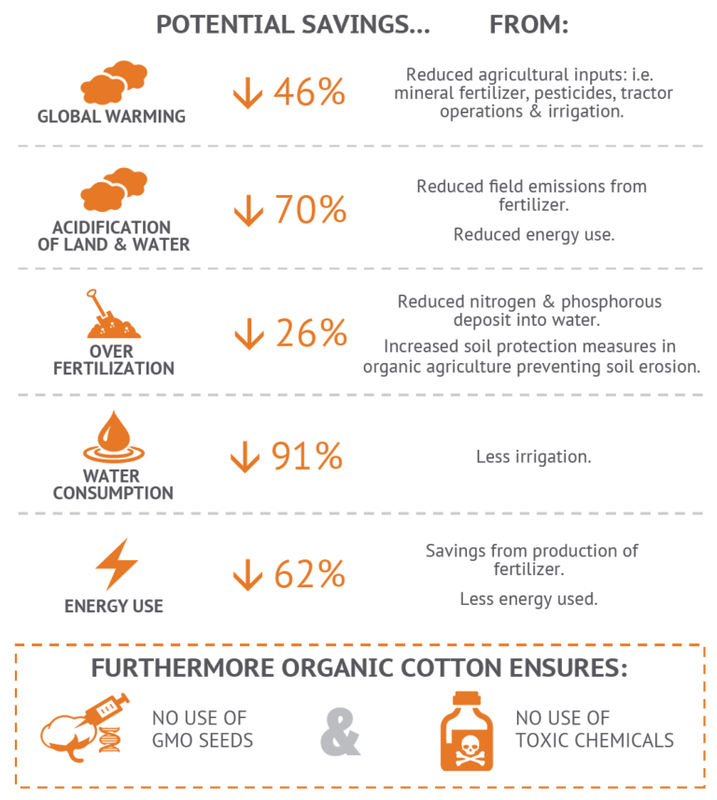 Social & Economic Benefits – Organic cotton promotes safe work & better livelihoods. Growing organic cotton keeps farmers and their families safe. They are not exposed to toxic chemicals in the field or through their food and water supply. It also means farmers grow more than one crop which supplements their food and income. 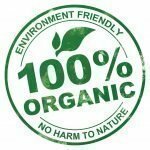 Our organic t-shirts are certified 100% organic and approved by the USDA under strict production and labeling requirements, including annual inspections by the certifier. The cotton is also certified by Global Organic Textile Standard (GOTS) and Control Union (SKAL). Cotton clothing is only organic if it is certified to an organic cotton standard – we guarantee no greenwashing! Shop without being complicit of animal cruelty – Our organic t-shirts does not use any animal derived fibers and are not tested on animals. Econscious, the manufacturer of our organic products, has partnered with PETA Approved Vegan to get certified 100% vegan and approved by People for the Ethical Treatment of Animals (PETA). Our eco-friendly printing inks are also certified vegan and organic. Source: In 2014, Textile Exchange commissioned a Life Cycle Assessment on organic cotton and found significant, measurable environmental benefits compared to conventional. Are your products vegan? Do you source from manufacturers testing on animals? Why are we boycotting Uzbekistan Cotton? Our t-shirts are made of cotton ethically produced in the United States. The vast majority of the cotton used by our manufacturers is grown in the USA, including even for our standard t-shirts and imported products. American cotton farmers are required to adhere to strict US labor laws and regulations. These regulations are most likely some of the most stringent in the cotton growing industry globally. They provide workers with ethical workplaces and because cotton is regulated as a food crop, workplace health and safety conditions mirror those of the vast majority of the foods we find on our tables. Click here to learn more about our US cotton. Click here to read our full article about Uzbekistan forced labor. We endorse the Responsible Sourcing Network coalition against forced labor and we are working to ensure that forced labor does not find its way into our products. We are collaborating with a multi-stakeholder coalition to raise awareness of this very serious concern, and press for its elimination. As a signatory to this pledge, we are stating our firm opposition to the use of forced labor in the harvest of Uzbek cotton. We commit to not knowingly source Uzbek cotton for the manufacturing of any of our products until the Government of Uzbekistan ends the practice of forced labor in its cotton sector. Until the elimination of this practice is independently verified by the International Labor Organization, we will maintain this pledge. Our supplier requires all business partners to confirm, by means of a signed statement, that they do not use or procure any cotton fiber originating from Uzbekistan. Why are we boycotting cotton from Uzbekistan? Every year since 1989, the Government of Uzbekistan, one of the world’s largest exporters of cotton, forces over 1 million of Uzbek citizens to leave their regular jobs and go to the fields to pick cotton for weeks in arduous and hazardous conditions. Many people have died almost every year in fields from extreme heat and accidents, including children who are also forced to work. According to several human rights organizations, slavery-like practices are used in Uzbekistan’s cotton fields. The forced labor system orchestrated by the government of Uzbekistan violates human rights, holds Uzbek citizens as modern slaves, and condemns future generations to a cycle of poverty. Only the high officials of the corrupt regime in place for more than 30 years, profits from the forced labor and the massive exports of cotton. We join Uzbek citizens in supporting the Call to Boycott Uzbek Textile organized by the victims of governmental persecution. We are working to ensure that forced labor does not find its way into our products. We are collaborating with a multi-stakeholder coalition to raise awareness of this very serious concern, and press for its elimination. As a signatory to this pledge, we are stating our firm opposition to the use of forced labor in the harvest of Uzbek cotton. We commit to not source Uzbek cotton for the manufacturing of any of our products until the Government of Uzbekistan ends the practice of forced labor in its cotton sector. The vast majority of the cotton used by our manufacturers is produced in the United States. Notwithstanding this fact, our supplier requires all business partners to confirm, by means of a signed statement, that they do not use or procure any cotton fiber originating from Uzbekistan. Our imported t-shirts manufacturers established a cotton traceability assessment for its cotton yarn suppliers in order to ensure that the cotton, yarn or products they supplied did not contain cotton originating from Uzbekistan. The cotton used by our manufacturers is grown in the United States, including even for our standard t-shirts and imported products. US cotton farmers are required to adhere to strict US labor laws and regulations. These regulations are most likely some of the most stringent in the cotton growing industry globally. They provide workers with ethical workplaces and because cotton is regulated as a food crop, workplace health and safety conditions mirror those of the vast majority of the foods we find on our tables. READ MORE: Why are we boycotting Uzbekistan Cotton? We usually offer two types of products manufacturers options – either imported or produced locally. The most ethical t-shirts are of course the local products but the downside is the premium price. However, we understand that most of our working class customers are on a budget and sometimes prefer the cheapest option available. That’s why we also offer regular t-shirts at $15 – but we still make sure to always use brands among the most ethical in the imported clothing industry, ensuring humane working conditions. The vast majority of the cotton used by our t-shirt manufacturers is produced in the United States, including even our standard t-shirts and imported products. US cotton farmers are required to adhere to strict US labor laws and regulations. These regulations are most likely some of the most stringent in the cotton growing industry globally. They provide workers with ethical workplaces and because cotton is regulated as a food crop, workplace health and safety conditions mirror those of the vast majority of the foods we find on our tables. We boycott cotton from Uzbekistan’s forced labor. The forced labor system orchestrated by the government of Uzbekistan violates human rights, holds Uzbek citizens as modern slaves, and condemns future generations to a cycle of poverty. We join Uzbek citizens in supporting the Call to Boycott Uzbek Textile organized by the victims of governmental persecution. All of our products are approved by industry-leading fair labor certifications and ethical seals, including also our standard t-shirts and imported apparel. Our t-shirts are made of cotton ethically produced in the United States and it is certified fair trade without any Uzbekistan cotton coming from forced labor. All of our suppliers must adhere to a strict Code of Conduct providing ethical working conditions. To learn more about ethics and working conditions, we invite you to read this article. Our products are certified environment-friendly by Oeko-Tex Certification Class 100. We use organic printing inks approved by eco-friendly certifications. Our 100% organic cotton t-shirts are certified organic by the USDA and GOTS. They are also certified vegan by People for the Ethical Treatment of Animals (PETA). We take ethics seriously, bringing you sweatshop-free products without any child labor. All of our t-shirts use fair trade cotton made in USA, including our regular t-shirts. The manufacturer’s working conditions are closely monitored through a transparent Code of Conduct and regular independent audits. In addition, we only use manufacturers who have received various fair trade certifications. Every manufacturer of the products sold on this website adhere to this Code of Conduct, even our cheaper imported t-shirts. This Code of Conduct applies to contractual partners as well as their subsidiaries. We also make sure that even our line of imported products is using manufacturers among the most ethical in the imported clothing industry. The working conditions exceed local standards and out pass the competitors when comparing with similar imported apparel brands. The vast majority of the cotton used by our t-shirt manufacturers is produced in the United States, including even our standard t-shirts and imported products. US cotton farmers are required to adhere to strict US labor laws and regulations. These regulations are most likely some of the most stringent in the cotton growing industry globally. They provide workers with ethical workplaces and because cotton is regulated as a food crop, workplace health and safety conditions mirror those of the vast majority of the foods we find on our tables. 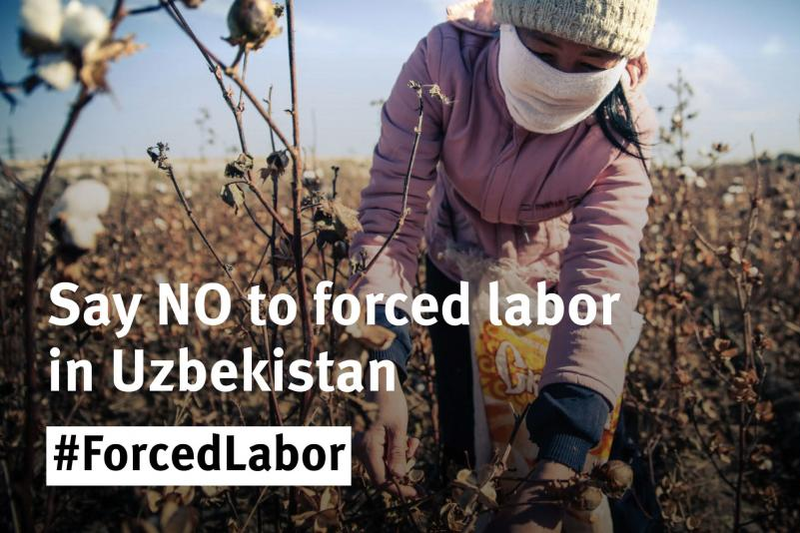 We also totally boycott Uzbekistan’s forced labor cotton, click here to learn why. Optionally, local products are offered at a premium price point. Our most popular locally produced t-shirts are made by American Apparel, but other options are also available. Since the t-shirts are printed in the United States, our products branded “local” must be 100% made in the USA. American Apparel is an American textile company manufacturing all its products in its factory in Los Angeles, refusing the use of the sweatshops. American Apparel pays its manufacturing employees an average of $12 per hour. According to the San Francisco Chronicle the average factory worker at the company makes $80–120 per day, or roughly $500 per week compared to the $30–40 made daily at most other Los Angeles-based garment factories. Employees also receive benefits such as paid time off, health care, company-subsidized lunches, bus passes, free English as an additional language classes, on-site massage therapists, free bicycles and on-site bike mechanics, free parking in addition to the proper lighting and ventilation. Every floor of the factory includes free telephones where workers can make and receive long distance phone calls. In previous years the waiting list for employment at American Apparel has had over 2,000 names on it. The company now however is actively looking for staff following an investigation by US immigration found that 1,500 of its workers lacked the legal immigration documents and were subsequently dismissed. As early as 2001, American Apparel has been a vocal advocate for reform of U.S. immigration laws. On May 1, 2002 American Apparel shut down its factory to allow the company’s workers, many of whom are immigrants, to participate in a pro-immigration rally in downtown Los Angeles. Dov Charney, a Canadian, also marched alongside the workers. American Apparel participates annually in the May 1st Immigration March and Rally in downtown Los Angeles. In 2008, they added a route from their factory that eventually connected with other supporters near the city hall. The company’s politics were eventually spun off into the Legalize LA advertising campaign. The company depends on environmentally friendly practices and is known for its innovations in sustainability due to vertical integration. American Apparel manufacturing system is designed around the concept of “Creative Reuse” — which converts excess fabric from one garment template into several additional garments such as bathing suit tops, belts, headbands, bows, bras, underwear and children’s clothing. This otherwise wasted material reduces the amount of fabric the company needs to produce in addition to expanding its product line and saves approximately 30,000 pounds of cotton per week. American Apparel maintains a bicycle lending program for its employees and according to People for the Ethical Treatment of Animals (PETA) it is a vegan-friendly clothing company. As of 2007 the company planned to increase its use of organic cotton within the next four years from over 20% to 80%. American Apparel also sells a line of shirts under the “Sustainable” label that are 100% USDA organic cotton. In 2008, American Apparel purchased over 30,000 pounds of organic cotton known as B.A.S.I.C cotton. American Apparel installed a 146-kilowatt solar electric system on its factory roof, designed to reduce power costs by at least 20%. These panels power as much as 30% of the factory. The company also recycles its fabric scraps. American Apparel also donated more than $400,000 worth of garments to the victims of the Haitian earthquake through Fashion Delivers as well as over 5,000 pairs of socks to the shoe charity Soles4Souls. In addition to participating in a variety of immigration protests, the company launched an advertising and advocacy campaign called “Legalize LA”. The campaign featured advertisements in national papers like The New York Times as well as billboards, T-shirts, bus ads and posters. The company also maintains a Legalize LA portion of their website that features news articles relating to immigration reform, the brand and information on the history of the issue. After the passing of Prop 8 (which defines marriage in the state as one man and one woman) in California in November 2008, American Apparel launched the Legalize Gay campaign. It is similar to the Legalize LA campaign, and shirts with “Legalize Gay” and “Repeal Prop 8” printed on them in the same style as the shirts of Legalize LA are sold by the company. Our locally produced t-shirts use up to 80% organic cotton and the manufacturing plant is powered by solar energy. The whole chain of production is located in the same place, thus minimizing the carbon footprint. All waste is recycled by the factory. 100% vegan inks. Products are not tested on animals and contains no animal products or animal by-products. All of our products are 100% vegan and cruelty-free. We have also double-checked with the manufacturers to make sure the products are NOT tested on animals. All of the products used during the manufacturing process does not contain any animal ingredients and are not tested on animals. 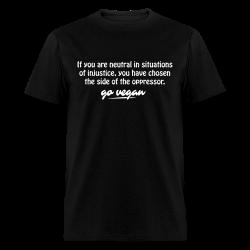 Shop without being complicit with animal cruelty! 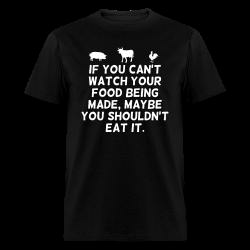 On top of this, we also offer a line of organic t-shirts approved by People for the Ethical Treatment of Animals (PETA). Last minute gift? We offer gift cards ranging from $15 to $100. To buy a gift card, please click the link above, then select the amount and add it to the basket. Once checkout is completed, you will receive a coupon code that can be used as a method of payment for your next order. The gift recipient will simply have to enter the coupon code in the “promotional code” input field located at the top of the page during checkout. Note: gift cards cannot be combined with other promotion codes. 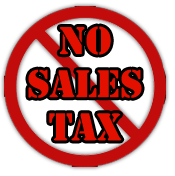 International customers never pay any sales tax on the order when purchasing online on this site. This means you save you around 15% of the total of your purchases. Wholesale t-shirts screen-printing: orders of 50+ t-shirts with the same design are eligible to screen-printing discounts up to 75%. Details here. After clicking the button labelled “continue order”, just enter the promotion code during checkout to apply the discount. The area to enter the coupon code will be visible during checkout, just before entering your shipping address. All countries are eligible – Promotions are open to everyone, no matter your origin. All items are eligible for promotions unless otherwise stated, including customized products. Coupons can’t be combined. Limit of 1 promotion code per order. Did you forget to enter the promotion code? If you already paid your order, you must cancel your order and start again so that you can take advantage of the discount. The instructions to cancel an order can be found in the confirmation mail (invoice) that is sent automatically after the purchase. Other coupon codes are sometimes available during promotional campaigns lasting a few days. Generally, this is a percentage discount on your order or free shipping on everything with no minimum. These are the most advantageous promotions. Even if coupon codes cannot be combined, the percentage discount you get will be bigger than the shipping cost, so you still get free delivery. You need to enter the promotion code during checkout. The discounts are not applied automatically. See instructions above. Only one promotion code can be used at a time – it is not possible to combine free shipping plus a percentage discount. Even without free shipping, the percentage discounts always give a better discount because the value of the discount obtained is higher than the delivery costs. For example, a 15% discount on 10 t-shirts equals a discount of over $23, which is much more than shipping fees. So in other words, the promotion code gives free delivery plus a discount. Periodic promotions campaigns and discounts on large quantities are offered by our supplier. The discounts obtained are shared with you through promotion codes so you can save you money. The shop has no power over the terms and conditions of eligibility for these promotions or its duration. We cannot make exceptions or change the parameters of the promotion on your order. Volume discounts cannot be combined with any other promotion code. 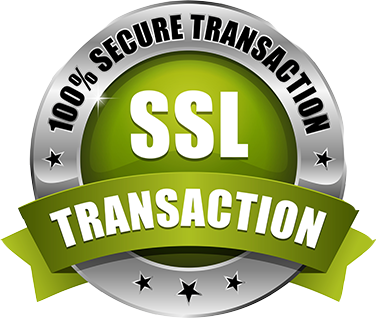 It is also possible to confirm the security of the connection by checking the small padlock that appears in your browser and with the mention “https” which precedes the URL address of the website. We’re serious about cyber-security. The integrity of our website is monitored by an outsourced professional cyber-security team. In addition, we also use an enterprise-grade checkout system and payment processing. Parcel payments and shipments are managed by a third party service provider and your personal information is stored on a professionally-managed secure server. Many layers of security are deployed to guarantee the protection of your identity and the safety of your payment. If you want to share your purchases with the community, you can send us a picture of yourself wearing the clothes you ordered from this shop. The pictures are featured in the customer’s photos album at the bottom of the homepage and we also share them on social networks. What if I haven’t received my order yet? Our statistics show that 99.9% of the orders are always correctly delivered so please don’t worry if your order hasn’t arrived yet as it is probably just delayed in transit. We ship from the United States, so international orders can take up to a few weeks to be delivered. You can find the shipping times here. If your order should have arrived by now, then the first step would be to check with your local post office as sometimes the packages can be held there without notification. Also, please double-check that the address you entered the correct address during the checkout. The postal services can sometimes have a delay during periods of high traffic and unfortunately, we do not have any control over this. For international orders, it is, therefore, necessary to wait at least 4 weeks after the order date before we are able to open an investigation case with the postal service for non-receipt. If the parcel fails to reach its destination, the items will be sent again free of charge. Contact us if you have not received your order within the deadline mentioned above and our team will be able to assist you with this. Your order will be professionally printed using the industry-leading technologies, providing the best quality and durability without degradation of the print. Learn more about printing. After production, your order will also go through a quality check to double-check the quality of the print. If you’re not 100% satisfied with the quality, we’ll take your order back for a refund. If there is an error in the order, we will print it again and send it to you for free. But don’t worry, we have a great quality check system in place and errors almost never happen. If there is no problem with the order but a return is really desired (buyer’s remorse scenario), the customer will be responsible for return shipping fees so please check with your local post office before making a decision. Please carefully check the size chart before ordering. We reserve the right to decline a return if the order was received in a good state. Where do I need to ship the item to return? Returns need to be shipped to the United States. Contact us to get the exact address. The buyer could be asked to pay return shipping fees, unless there is an error in the order, or a quality control issue. You can return your order within 30 days of receipt. Why is there so many different designs and products? The images of the products displayed on the website are not real photographies but rather computer-generated graphics showing the different possibilities of illustrations available to be printed on demand. 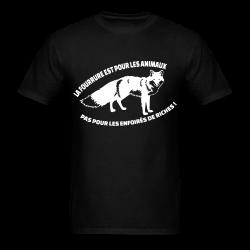 Our activist cooperative is not a supermarket devoted to the over-consumption of t-shirts. Although we offer many different designs, we do not hold any inventory and we don’t have a storefront. We could view it as we’re offering a service rather than selling something – you choose your design and clothing type, then we print it for you. Every product you order here is an individual item, printed on demand and manufactured by hand for you. That’s what distinguishes us from other e-commerce retailers. By printing on-demand according to orders, this production model makes it possible to offer virtually unlimited designs choices since the printing process takes place only after a purchase. That’s why the shop offers so many different designs. It also allows us to offer a wide variety of different types of clothes, colors options and sizes. In fact, the images of the products displayed on the website are not real pictures but rather computer graphics of the different possibilities of illustrations available to be printed. Unlike us, conventional clothing shops usually use classic screen-printing as printing method. This method requires large investments to print batch of hundreds of t-shirts, which greatly limits the number of designs available for sale and colors options. Batch screen-printing, with its minimum quantity constraints, usually puts shops in a position where they’re forced to focus only on the best-selling designs to lower the investment’s risk and that’s exactly this mainstream capitalist logic that we want to avoid. We prefer variety rather than popularity dictated by market trends. This particular mode of operation allows the coop to produce a wide variety of designs covering a larger range of themes that represent all struggles and social causes, even the lesser known. Also, the more different choices offered in our catalog, the more we achieve our goals of raising funds to make donations to activist causes, which is our main objective. That’s why we do not limit the number of choices offered on the online store. For more information on printing on demand and the reasons why we opted for this choice, please read this blog article. As a cooperative grouping together artists from different origins and political backgrounds, we all come from various ideological currents, which explains why you will find a wide variety of different themes in our catalog, even some which may seem surprising to cohabit together at first. The cooperative operates under inclusive, pluralistic and synthesist principles by refusing to impose a political platform which you have to conform to. Therefore, the shop represents all the different school of thoughts of revolutionary activism, without sectarianism, so long as they have in common our fundamental values. This means standing for a wide variety of common causes and we proudly see this diversity as a strength of our cooperative. Why are we using print on demand? Image Rights – Can I reuse images found on the website? We usually allow re-usage our images for a non-commercial usage only. Our designs are copyleft under CC-BY-NC license – Creative Commons Non-Commercial, an usage-restricted license that restricts commercial use. We do NOT allow commercial use of our images. An important number of our designs were created for the sole purpose of charity fundraiser supporting activist causes. We want this to be respected, given that the artists spend a considerable amount of time working on the designs. Those who would like to use our images in a non-commercial project can contact us to get the authorization. We usually have no problem with the fair use of our images. However, we cannot give authorizations without the consent of the original artist and other cooperative members. Warning eBay sellers & unauthorized resellers – you are NOT authorized to use our images on your products – NO exception. We do not tolerate the use of our images on eBay and any other commercial marketplaces. Unauthorized use of our images will be reported to our legal team to send a formal DMCA infringement complaint to eBay or your platform and your payment service provider. Due to large-scale abuse from cyber-scammers who are profiting out of stolen designs from the cooperative, we are now being represented by a legal team to defend our rights. Legal actions could be taken against abusers. Unauthorized use is subject to monetary statutory damages for each act of infringement. Bands t-shirts are excluded from Creative Commons – most of them were not designed by us, therefore the designs in the bands section are sole propriety of the bands. Public domain images: t-shirts designs labeled as such are based on ‘generic’ images belonging to the public domain and we don’t control the image rights. We use these designs to raise money for charity fundraisers and we do not claim exclusive rights ownership on these images. We are an online-based print-on-demand shop and we currently do not have a storefront. As a cooperative with members from different countries, we currently do not meet in a common workplace and most artists work at home. The orders are printed and shipped from the United States, where our printing department is located. (a) This agreement governs your use of Defend Animals’s site and service, including all orders made or processed for products or services in connection with the site and service, and the user Forums which Defend Animals makes available. 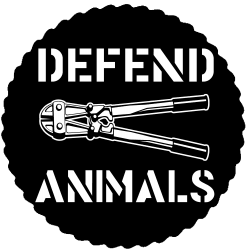 You and Defend Animals, a company providing custom, on-demand merchandise printing, sales, and other related services (“Defend Animals”), are the parties to this agreement. If you choose to use other features of the site and service, like opening a shop to sell custom, print-on-demand products, other terms may apply in addition to these. No exceptions to these terms are effective unless Defend Animals has agreed to them in writing. (b) Defend Animals may change these terms from time to time. If Defend Animals makes changes to these terms, you will be notified and asked to accept the new terms as a condition of continuing to use Defend Animals’s site and service. If you disagree with any amendments, you must stop using Defend Animals’s site and service. (a) Defend Animals owns all intellectual property and other rights, title and interest in and to its site and service (except for user-provided content). Your use of the site and service does not grant you any right, title or interest to these properties, except as follows. Defend Animals grants you a limited, revocable license to access and use the site and service for its intended purpose: the provision of an online, on-demand, customizable merchandising solution. You may only use the site and service according to Defend Animals’s terms, rules, and guidelines found on its site, and Defend Animals may revoke this license and limit your access to the site and service according to Section 15 (Termination of Access). use the site and service to promote hate speech, obscenity, or any content that violates Defend Animals’s Ethical Guidelines, which Defend Animals may change from time to time in Defend Animals’s sole discretion. 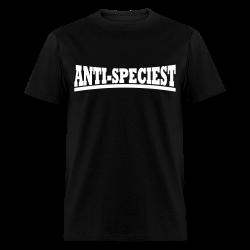 (a) Two shop types are available on Defend Animals’s site. First, there are shops designed and operated by Defend Animals itself (“Defend Animals Shop(s)”) and shops designed and operated by independent shop owners (“Partner Shop(s)”). Information about the owner of any shop is available as a linked page in each shop. (b) Independent shop owners of Partner Shops are solely responsible for the products and designs offered in those shops, the design of those shops, and the advertising of the articles offered. Defend Animals does not use designs or products of shop owners until a customer places an order that includes one of those designs or products. (a) By placing an order using Defend Animals’s site and service, a customer makes a binding offer for a contract of sale or, as the case may be, a contract for work and materials with Defend Animals only (no contract exists between the customer and any applicable shop owner). Defend Animals sends an order confirmation via e-mail to the customer. The order confirmation is not an acceptance of the offer, but only acknowledges that the order was received. The offer is only accepted when Defend Animals confirms that production has completed in a second e-mail. Defend Animals cannot guarantee the continued availability of any products or designs found on its site. (b) Information, drawings, figures, technical data, specifications of weight, measurements and services contained in brochures, catalogues, newsletters, ads, or price lists are purely informational. Defend Animals cannot guarantee the correctness of this information, and if there is any inconsistency between the information described above and the information in an order confirmation email, the order confirmation email controls. (c) Defend Animals reserves the right to reject orders for any reason or no reason. If Defend Animals rejects an order, it will notify the customer. (d) Defend Animals’s performance of an order is completed when the shipment provider completes delivery to the customer’s address, according to the records of the shipment provider. If there is an interruption of delivery, and Defend Animals cannot replace the order in a reasonable amount of time, Defend Animals will notify the customer immediately. (e) If there is a product defect or if you are dissatisfied with your order for any reason, ‘Defend Animals’s return policy will apply, which Defend Animals may change at any time in its sole discretion. (a) Defend Animals warrants that it will ship orders within three weeks after orders are placed. Normally, goods are shipped within a few days and typical delivery times are 2-4 days, but in certain circumstances shipment and delivery can take up to three weeks. Customers and Defend Animals may separately agree to more specific delivery times and terms in a separate writing or agreement (such as a request for express shipping). (b) Defend Animals will make delivery using a shipment service provider of its choosing. The customer must pay standard shipping costs which may depend on order value and shipping destinations. Shipping costs are displayed at checkout. 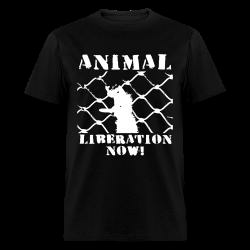 (a) All prices found on Defend Animals’s site are final, and may change from time to time. Shipping and handling are billed and shown separately at checkout (or on invoices, if applicable). The shipping address and order amount may affect certain costs, and sales taxes may apply to some orders. (a) Customers may choose to pay by direct debit, credit card, advance payment, or other payment methods. Defend Animals reserves the right to limit the method of payment chosen by the customer depending on order value, shipment destination, or other objective criteria. (b) If the customer selects a payment method or provides payment information that makes it impossible or impractical for Defend Animals to receive payment (for example, the customer’s account lacks sufficient funds, or the customer provided incorrect payment information) through no fault of Defend Animals’s own, the customer agrees that Defend Animals may add an additional charge to the order to recoup costs associated with processing or attempting to process the impossible or impractical transaction. (c) Defend Animals may sub-contract third parties to process payment. (d) If the customer fails to pay, Defend Animals may assign its claims to a debt collection agency and transfer the personal data required for collecting payment to these third parties. Until Defend Animals receives full payment for an order and the order is shipped, title to the goods remains with Defend Animals. Upon transfer of the goods to the carrier, title and risk of loss passes to the customer. The customer should handle products with care until the transfer of ownership is complete (for example, in case of a product return). (a) Defend Animals provides the site and service on an “as is” and “as available” basis. Defend Animals does not represent or warrant that the site and service or its use: (i) will be uninterrupted, timely, safe, or secure, (ii) will be free of inaccuracies, errors, or vulnerabilities, (iii) will meet your expectations or requirements, or (iv) will operate in the configuration or with the hardware or software you use. Defend Animals hereby disclaims any and all express or implied warranties, including without limitation, warranties of fitness for a particular purpose, merchantability, and non-infringement to the fullest extent of the law, except to the extent that this agreement provides otherwise. (b) You agree that Defend Animals has no responsibility for any damages suffered by you in connection with the site and service, and that use of the site and service, including all content, data or software distributed by, downloaded, or accessed from or through the site and service, is at your sole risk. You understand and agree that you will be solely responsible for any damage to your business or your computer system or any loss of data that results from your actions and your use of the site and service. Defend Animals does not control or endorse in any respect any information, products, or services offered by third parties through the site and service, and is not responsible for any possible representations and warranties these third parties may make. (c) Due to normal changes in our industry and in our technical production processes, Defend Animals may reasonably deviate from the descriptions and information found in its brochures, catalogues, and other documents with respect to material, color, weight, measurements, design, or other features. (d) Defend Animals may use subcontractors or third parties to provide certain elements of its site and service. You agree that Defend Animals will not be liable to you in any way for your use of these services. (b) Defend Animals is not liable to you for any lost profits or other consequential, special, indirect, or incidental damages arising out of or relating to the site and service or any agreement between you and Defend Animals, even if advised of the possibility of such damages. Defend Animals’s aggregate liability arising out of or in connection with the site and service or any agreement between you and Defend Animals may not exceed the lesser $100 or the amount of cash actually exchanged between you and Defend Animals within the past six months. Applicable law may not allow the limitation or exclusion of liability described in this Section. In such cases, Defend Animals’s liability will be limited to the fullest extent permitted by applicable law. (a) If you upload designs or make changes to products in any way (for example, adding custom text), you represent and warrant to Defend Animals that you have all necessary rights (for example, in trademark, copyright, privacy rights, publicity rights, common law, etc.) 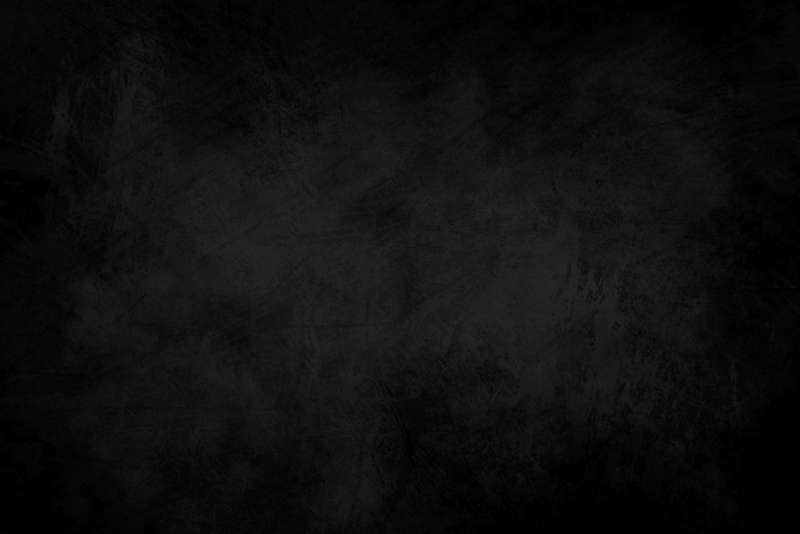 to use the text or design without violating the rights of any third party. 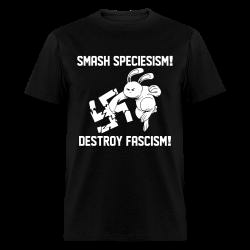 Defend Animals may, in its sole discretion, refuse to print any designs or text that you submit. However, Defend Animals is not obligated to review any of your submissions. (b) You agree to (i) indemnify and (ii) release Defend Animals from all liability (including costs and attorney’s fees) for claims relating to the alleged or actual infringement of any third-party rights and any law to the extent that such claims relate to your use of Defend Animals’s site and service. If you are a shop owner with Defend Animals, Defend Animals may offset amounts in your shop owner account to satisfy the indemnification payments owed according to this paragraph. (a) Defend Animals may refuse to provide its site and service to you, in full or in part, effective immediately and without notice, for any reason or no reason, but especially if Defend Animals believes that you (or any others whom Defend Animals believes that you act in concert with) have violated or will violate any laws, rights, or term (or the spirit of any term) of any agreement you are a party to with Defend Animals, its affiliates, contractual partners, or users; or if Defend Animals believes in its sole discretion that your use of the site and service may create any risk (including any legal risk) for Defend Animals, its affiliates, contractual partners, or users. Limitation of access may include removal or modification of content that you have uploaded or otherwise sent to or through the site and service. (b) If Defend Animals exercises its rights under Section 15(a), or if you delete your account, this entire agreement and any other agreements you have entered into with Defend Animals will survive indefinitely until otherwise terminated according to their terms, if applicable. (a) Entire Agreement. This agreement (along with other policies found on Defend Animals’s site and service) contains the entire agreement between the parties and replaces all prior oral and written agreements. No oral modifications, express or implied, may change the terms of this agreement. The parties have not relied on any representations or promises relating to the subject matter of this agreement except those contained within the four corners of this agreement. (c) Successors, Assignment, and Delegation. This agreement inures to the benefit of and binds the successors, assigns, heirs, executors and administrators of the parties. However, you may not assign or delegate any right or duty under this agreement without written consent from Defend Animals. Any attempt to do so is null and void. If there is an involuntary assignment, then Defend Animals may reasonably request documentation from your successors or estate to prove that an involuntary assignment of your rights under this agreement has actually taken place. (d) Means of Notice. Written notices and other communications described herein may be made electronically and are effective when sent or published. You guarantee that the information provided in your orders or user account is accurate and hereby waive all rights or objections relating to not having received notices from Defend Animals because of incorrect or incomplete information. (f) Waivers. Waivers are only effective when in writing. If Defend Animals waives enforcement of a breach of any term of this agreement, later breaches of the same or other terms are not waived. Accepting late performance of any act or late fulfillment of any condition of this agreement is not a waiver of the act or condition itself. (h) Conflicts. If there are any conflicts between this agreement and another agreement between you and Defend Animals, then the terms of that other agreement will control only to the extent they are inconsistent. Otherwise, any additional terms are supplementary to the terms of this agreement. (i) Reservation. Defend Animals reserves all rights not expressly granted in this agreement. (k) Minimum Age. Persons under the age of 13 may not use the site. Defend Animals will not collect, use, or disclose any personal information associated with a person under age 13.